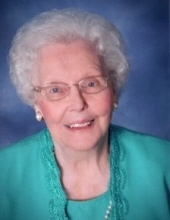 Edith C. Patton age 96 of Pikeville, Kentucky passed away Monday, July 23, 2018 at the Pikeville Medical Center. She was a retired Seamstress and a Sales Clerk. She was a member of the Pikeville Free Will Baptist Church since 1975. Edith was born in Pike County, Kentucky on April 30, 1922 the daughter of the late William Arvid Coleman and Sophia Sword Coleman. Along with her parents, she was preceded in death by her husband, Floyd William Patton on January 2, 1949 and a daughter, Carol Fields. She was also preceded in death by four brothers, Paul Coleman, Ralph Coleman, John Howard Coleman and Joel Coleman and one sister, Grace Evelyn Coleman. She is survived by one son, William Tracy (Diana) Patton of Old Hickory, Tennessee and one daughter, Donna Brewer of Pikeville, Kentucky. She is also survived by one brother, Chester (Maxine) Coleman of Pikeville and one sister, Mary Sue Justice of Pikeville. Along with five grandchildren, Stephen Brewer, Missy Michelle Cook, Leigh Anne (Cecil) Williams, Jason (Tabatha) Brewer and Mark Fields, and five great-grandchildren, Patton Cook, Harrison Cook, Landon Williams, Levi Williams and Andrew Brewer. To send flowers or a remembrance gift to the family of Edith C. Patton, please visit our Tribute Store. With Pikeville Free Will Baptist Ministers officiating. Serving as Pallbearers will be, Stephen Brewer, Jason Brewer, Mark Fields, Cecil Williams, Patton A. Cook, Harrison T. Cook and Ronald Coleman. Serving as Honorary Pallbearers will be Mike Adkins, Glen Patton, Barry Justice and Kenny Hamilton. "Email Address" would like to share the life celebration of Edith C. Patton. Click on the "link" to go to share a favorite memory or leave a condolence message for the family.